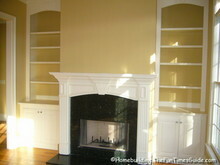 I see custom built-in bookshelves and built-in bookcases inside many of the upscale homes for sale that I visit. 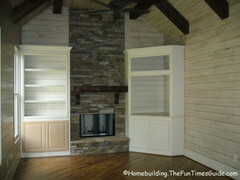 Most times, they flank a fireplace or they appear in a cozy den or library. 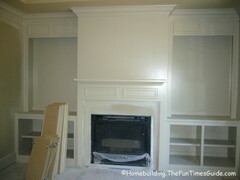 Sometimes, they’re built in the sitting room of the master bedroom suite. 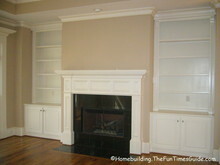 Built-in bookcases are always a welcome sight because of their utility and space-saving design. 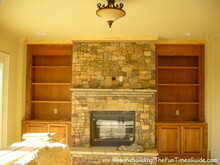 I’ve gathered a few photos below of custom built-in-the-wall bookshelves and built-in bookcases from my travels to homes under construction. 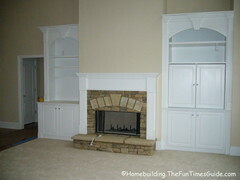 Take a look and gather some ideas for your own home. 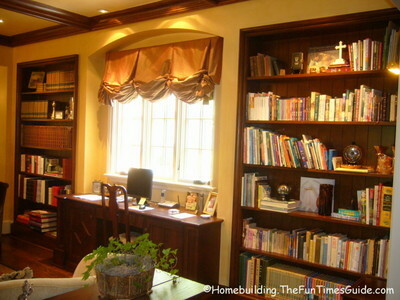 The idea with a built-in bookcase is to have a place to display your favorite books, framed photos of friends & family, pieces of art or small sculptures from your visits to places you’ve been to on vacation. 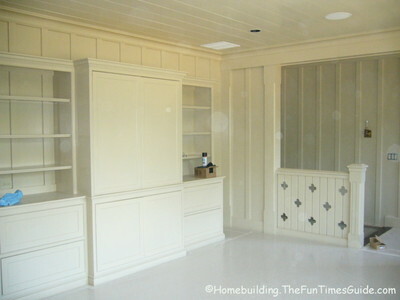 You also are able to hide all of the clutter for the items that you hold in your possession but do not necessarily want to display. 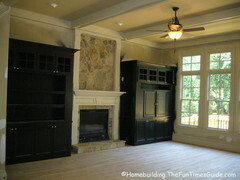 All of these are personal choices when making interior design decisions for your home. 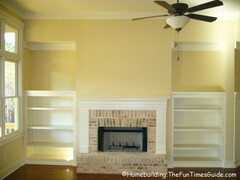 Flexibility – Is the homeowner able to configure the shelves according to their personal wants and needs, or are the shelves fixed? 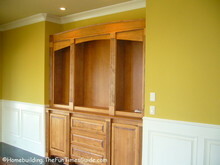 Quality – Is the built-in bookcase made using quality materials, and is it quality workmanship from top to bottom? 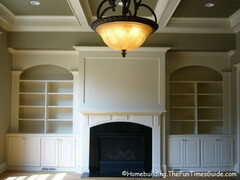 Overall Design and Placement – Is the built-in bookshelf architecturally in keeping with the rest of the home’s design? 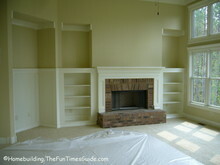 Does it overpower the room it’s in, or does it blend right in? 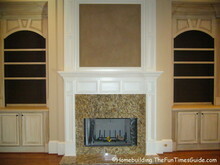 How does the trim work look? 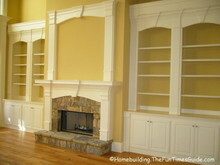 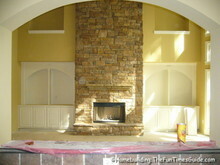 Below are many great ideas for built-in bookshelves, as well as some great-looking fireplaces and mantles. 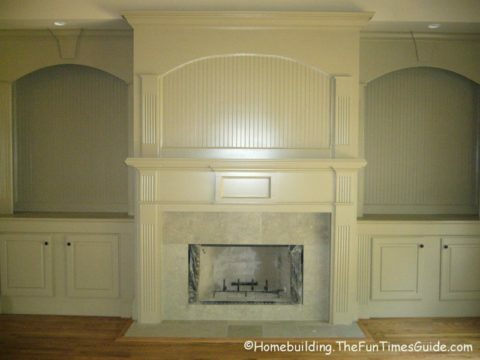 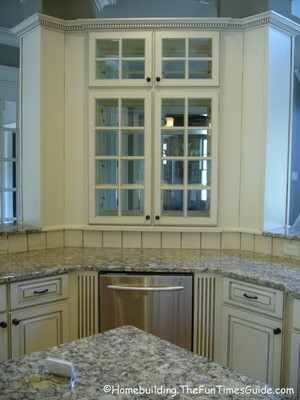 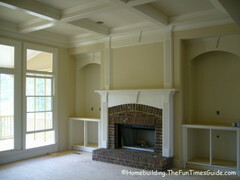 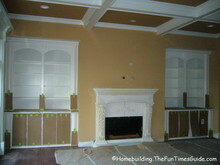 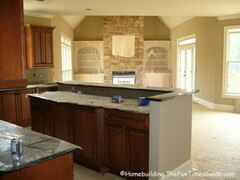 Notice the coffered ceilings and trim work, too. 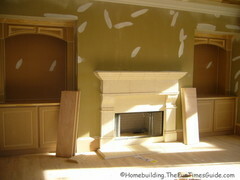 And please excuse the dust spots on some of the photos — it’s often difficult to keep a camera lens clean on a home construction site. 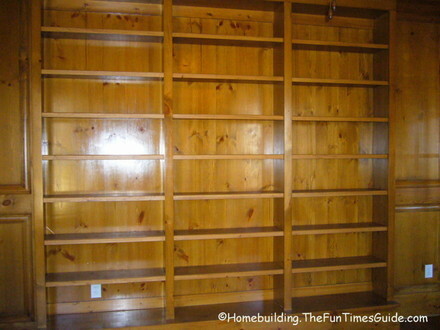 Must see: A home library with 4 walls of built-in bookshelves and a hidden bookcase door! 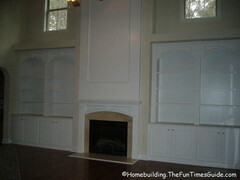 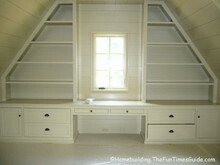 Now aren’t you glad you took the time to gather ideas for your built-in bookshelf project?